Bim Bam Boomer: Go Snorkeling....in West Virginia!! When you think of snorkeling, you think of the blue waters of the Caribbean, and coral reefs populated with wildly colored tropical fish, don't you? 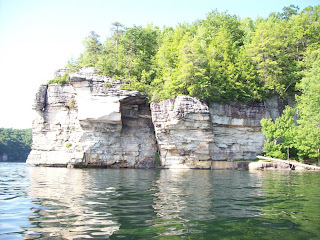 But this week I learned to snorkel in a most unlikely place -Summersville Lake, West Virginia. This mountain lake is known for its deep, clear waters and steep rock cliffs. The water is clear enough that on a good day you can see down from 25 to 40 feet. Snorkeling is an awesome experience. It's the act of swimming under water with a mask while breathing through a plastic tube, or "snorkel." It takes a little bit of getting used to because one part of your brain wants to tell you, "no, don't breathe under water" even though you know it is safe. Once you relax and get the hang of it, it's very relaxing. The only sound you hear while snorkeling is the steady rhythm of your own breathing, and if you are in an area populated by boat traffic, the occasional passing of a boat. Of course, you have to snorkel away from the speed boat lanes and stay close to shore. 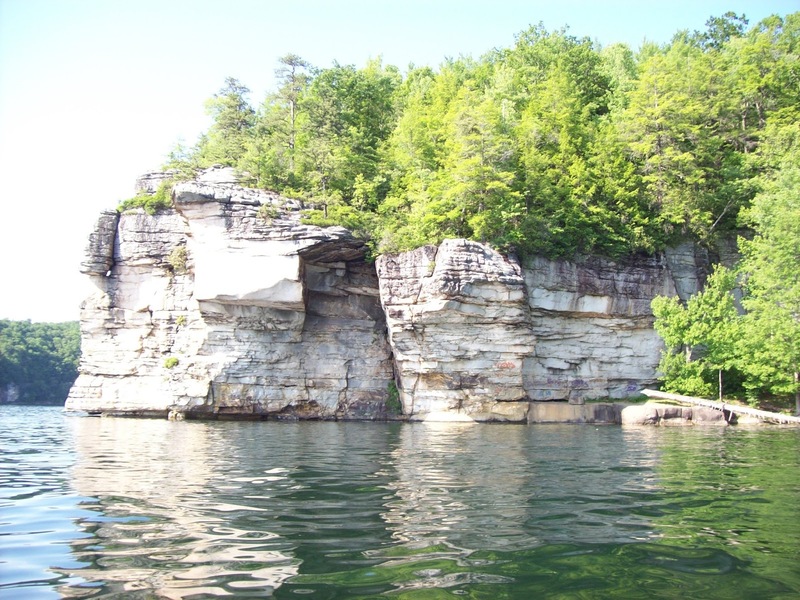 At Summersville Lake you will be pleasantly surprised by the underwater landscape. You'll see large and small boulders that have dropped over the years from the nearby sandstone cliffs. You'll see the sunlight filtering down in rays through the water and dappling the rocks below. You may see a school of fish swim by, unfazed by your presence in their territory. Logs and stumps are scattered here and there that you wouldn't notice from above the water. You may even see a stack of rocks placed there by a previous snorkeler or scuba diver, as if to say "I was here." (We humans can't resist leaving our marks wherever we go. ) My favorite snorkeling spots were shallow areas between 8 and 25 feet deep with slow drop offs to put my feet down on or rocks to climb on and take a break when I need to. Snorkeling is easy, fun, relaxing, and great exercise too. You will experience a sense of peacefulness and awe at the underwater topography that is normally reserved for the aquatic inhabitants that call it home. If you have never snorkeler you should try it. If a trip to the Caribbean is out of the question, head for Summersville Lake, West Virginia, the next best thing. You won't be disappointed!